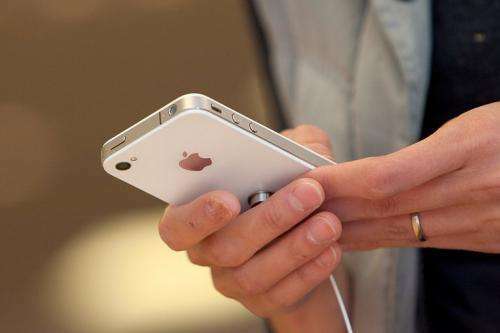 The iPhone's share of US mobile subscribers rose to 8.7 percent in the three months ending in May from 7.5 percent three months earlier, while RIM's share fell to 8.1 percent from 8.6 percent, comScore said. Samsung was the top handset manufacturer overall with a 24.8 percent share of US mobile subscribers, unchanged from three months earlier, comScore said. LG was next with a 21.1 percent share of mobile subscribers, up from 20.9 percent, followed by Motorola, which fell to 15.1 percent from 16.1 percent. Google's Android operating system was the top smartphone platform, comScore said, with a 38.1 percent share of US smartphone subscribers in the three months to May, up from 33.0 percent in February. Apple was next with a 26.6 percent share, up from 25.2 percent, followed by RIM with 24.7 percent, down from 28.9 percent, Microsoft with 5.8 percent, down from 7.7 percent, and Palm with 2.4 percent, down from 2.8 percent.